 While 2016 was supposed and touted to be the year of VR, demand for this decade's biggest technology distruptor is yet to show " considerable volumes " as modern technology’s biggest breakthrough is set to unravel, how does the holiday shopping trends reflect the growing " interest over virtual reality headsets ?. Despite the fact that several major players released virtual reality headsets over the past few months, many people still consider them novelty items rather than products that are ready to hit the mainstream in a major way. Reacting to the lack of excitement surrounding virtual reality on Black Friday and Cyber Monday, Research data firm SuperData revised their 2016 forecast for VR headset shipments downward significantly. The company’s analysts are particularly underwhelmed by the launch of Sony’s PlayStation VR, which stands in the shadows of the recently released PlayStation 4 Pro both in terms of customer attention and Sony’s marketing efforts. Sony’s effort is also much more accessible to general consumers as it simply plugs in to existing PS4 consoles – and there are more than 40 million of them in homes already. Meanwhile another report recently released by VentureBeat, shows the number of Steam users that acquired a HTC Vive only grew 0.3 per cent in July and was flat in August. Similarly, growth from Oculus virtual reality product Rift’s Steam user base only reached 0.3 per cent in July, and 0.1 per cent in August.The HTC Vive, the Valve-powered virtual reality headset that is the darling of the PC VR revolution, is selling pretty well – for an extremely niche product that is. This is a concern because both months were the first where each device was from supply constraints, meaning anyone could go online or buy a headset on the High Street. As it stands, only 0.18 per cent of Steam owners have a VR set HTC Vive, and only 0.10 per cent have a Rift.Meanwhile reports indicate that HTC virtual reality headset has been much better received by the tech press when it comes to reviews. 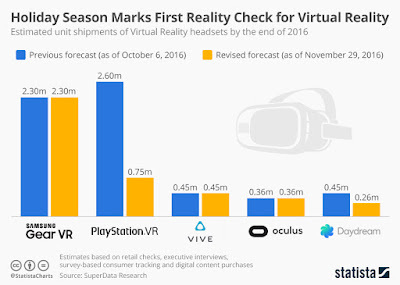 Recent reports suggest that parent company Facebook wants to ship 400,000 units VR headsets by the end of 2016, although Oculus itself has declined to comment on any sales figures.Analysts are predicting a major boost in the VR industry over the next few years. CCS Insight states the amount of AR and VR devices sold will increase from 2.5 million in 2015, to a mammoth 24 million in 2018; with a VR market worth more than $4billion. 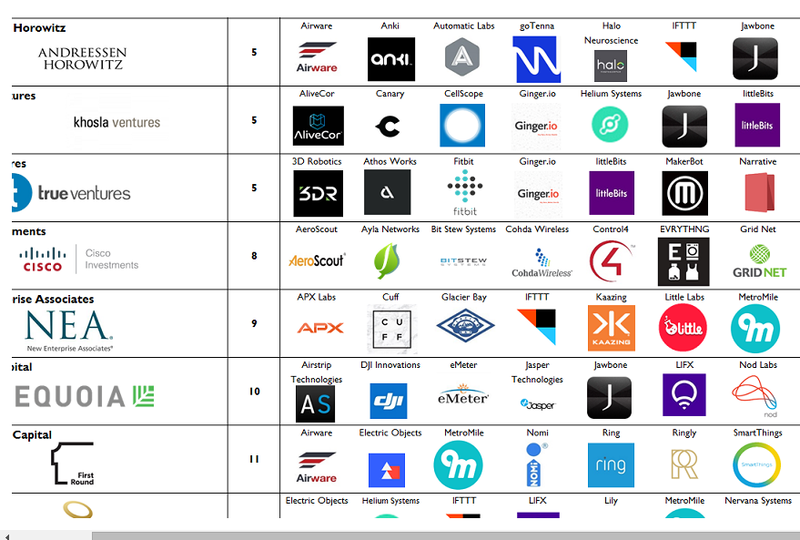 Global wearables market will grow at a compound annual rate of 35% over the next five years, reaching 148 million units shipped annually in 2019, up from 33 million units shipped this year.The chart above shows the biggest wearable categories that will be picking up pace in the next couple of years. 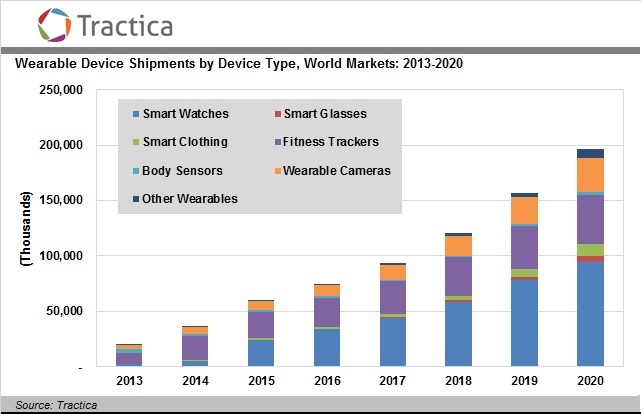 Smart Watches , Fitness Trackers and wearable cameras will see the biggest growth in the coming years. The merging of wearable cameras and virtual reality (VR) along with integration of smart augmented reality (AR) glasses will be the biggest disrupter in the future of computing platforms. Leading technology experts predict 2016 as the breakthrough year for virtual reality headsets. This data shows which company has done the best job of teasing its product to the public? 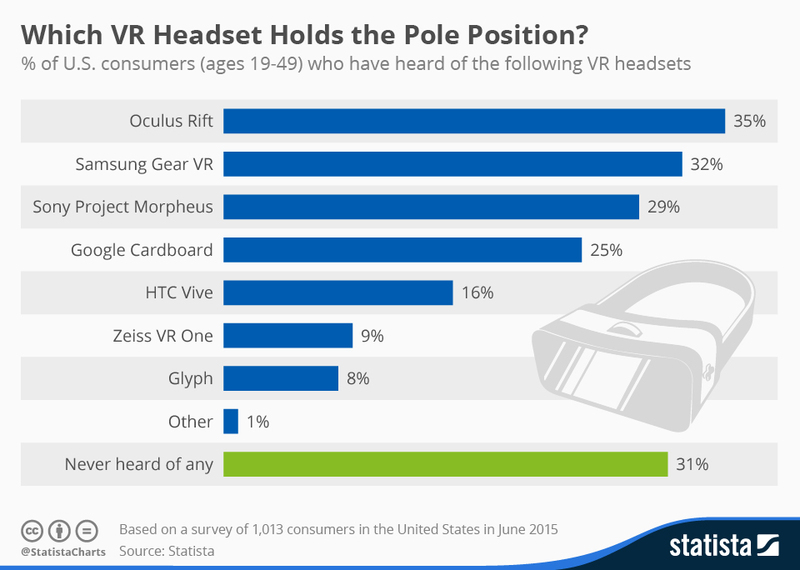 According to a survey conducted by Statista earlier this year, Facebook’s Oculus Rift scores highest in terms of consumer awareness with 35 percent of the respondents having heard of it.